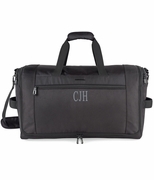 Classic personalized weekender duffel for men with style and functionality. Head out camping or for a leisurely weekend away with this moss green duffle bag with an outdoor appeal. Front zippered pocket, supported bottom, interior wall compartment and over the shoulder or cross body strap. Lightweight but sturdy cotton fabric with web handles. 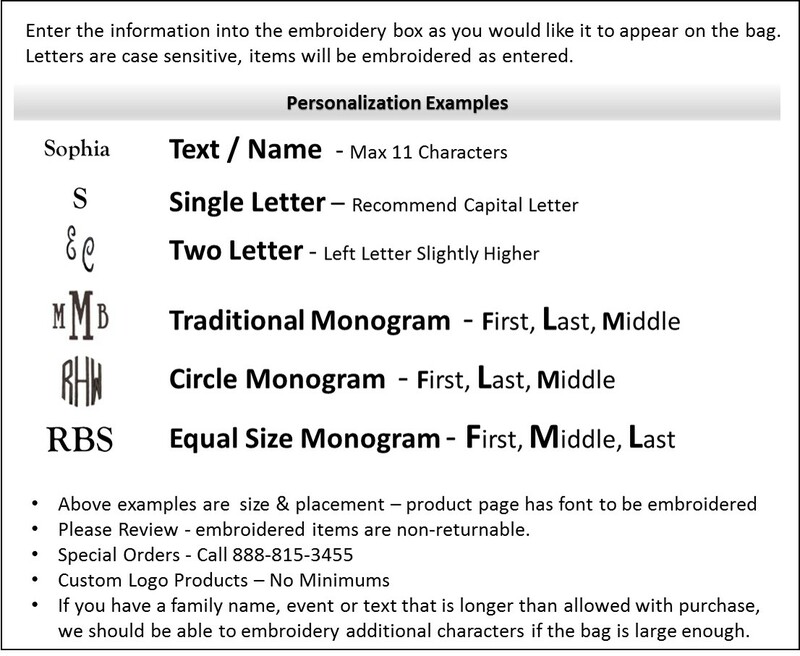 THIS ITEM IS AVAILABLE FOR LOGO CUSTOMIZATION, CONTACT 888-815-3455 FOR ADDITIONAL INFORMATION. 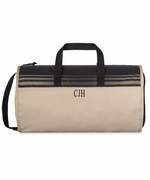 Monogrammed weekend bag for man measures 17"W x 14"H x 9.5" across bottom. Adjustable side snaps for expansion and ease in packing.